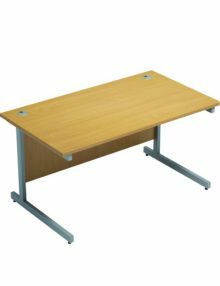 These sit-stand electric 1600mm desks come in a white, light oak and beech finish. 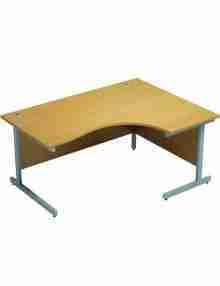 The desk top comes with 2 cable ports and is a 25mm table top. The Desk comes in 1200mm, 1400mm, 1600mm and 1800mm wide desks. The desk is adjustable from 650mm – 1130mm. The metal legs are powder coated in a white or grey finish. Now Stocked in Beech & White! 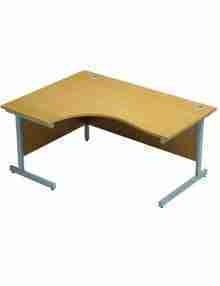 A radial office desk is also known as a corner desk or crescent desk.